Practical back row and large boot. Generous level of standard safety technology. Easy to drive. Standard-fit 20-inch wheels impact ride quality. Tyres are an unusual size. High tech electronic mean heating and ventilation is controlled by a vertical touch screen. 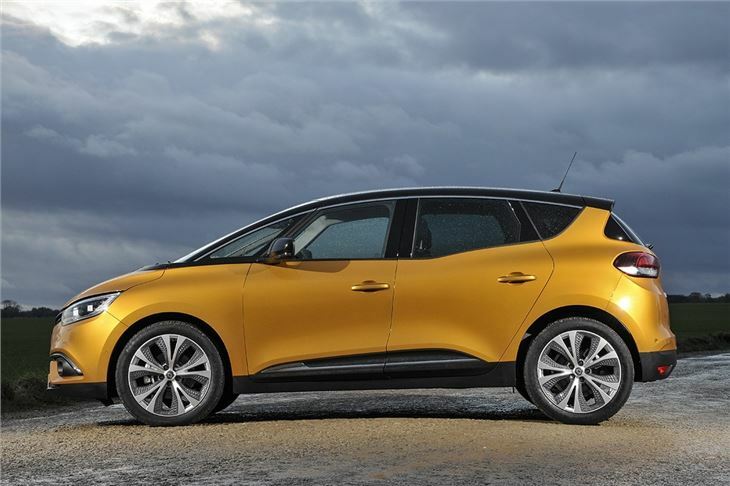 Report that 2017 Renault Scenic is failing to deliver warm air to the driver and passenger footwells. 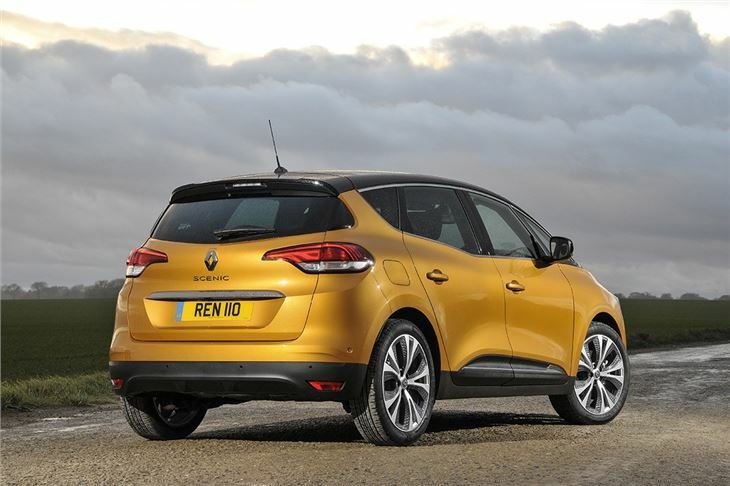 With its standard 20-inch wheels and chunky, almost-a-crossover styling, the Renault Scenic is a far cry from dull MPVs of the past. But, despite its radical new look it’s still a sensible and capable family car, with loads of cabin space, a big boot and some clever touches. The back row of seats is comfortable, with enough head and legroom for adults or, more importantly, for three children. The wide-opening rear doors provide easy access, plus there are two rear Isofix points and one on the front passenger seat. On all but entry-level models the rear seats fold with one-touch buttons in the boot. For those who have a bigger family there is a Grand Scenic, which is slightly longer to accommodate a pair of occasional-use seats that fold out of the boot. 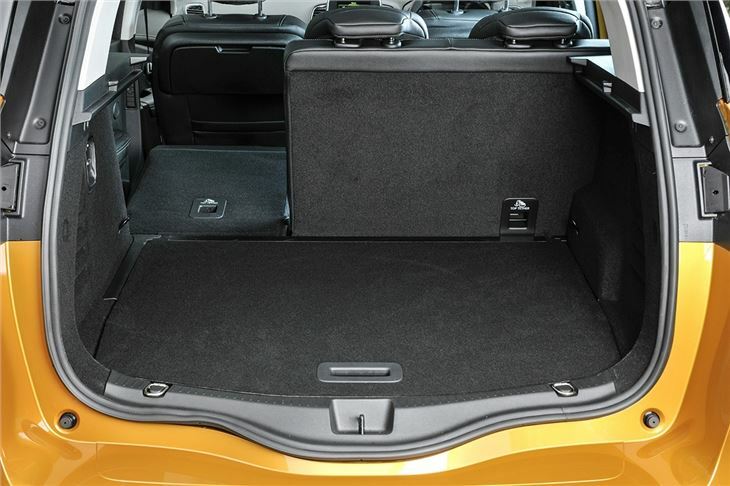 The boot capacity is 572 litres with the rear seats in place and the load deck is flat to make loading easier. Pushchairs, shopping and other family bits and pieces will fit easily and there is a false floor for hiding little things like tablet computers. The only issue is the chunky rear bumper, which will likely get scuffed when sliding things in and out. 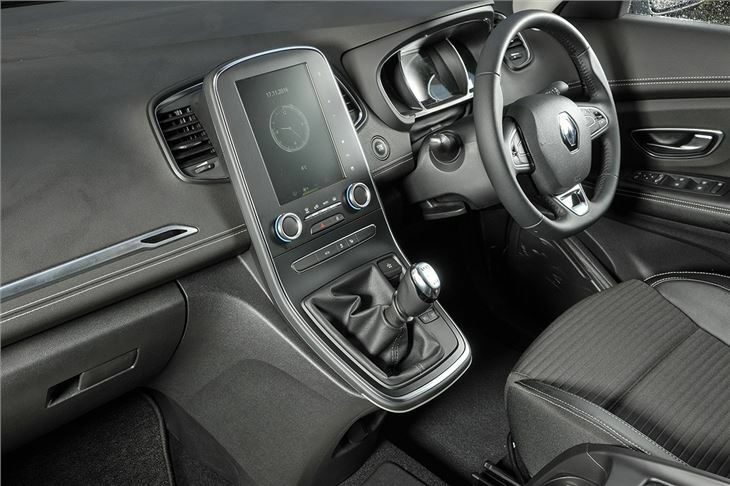 Bluetooth and DAB is standard, as is a large, crisp touchscreen system. On all but basic Expression+ models it comes with TomTom navigation and includes Live services, like traffic alerts. Importantly, standard safety tech includes auto emergency braking, lane departure warning, traffic sign recognition and cruise control on all models. The engine range includes 110PS, 130PS and 160PS diesels, plus there is a 1.2-litre TCe petrol with either 115PS or 130PS. Of these the 1.5 dCi 110PS diesel is probably the best bet, since it blends low emissions and official economy of more than 70mpg with decent performance and good refinement. 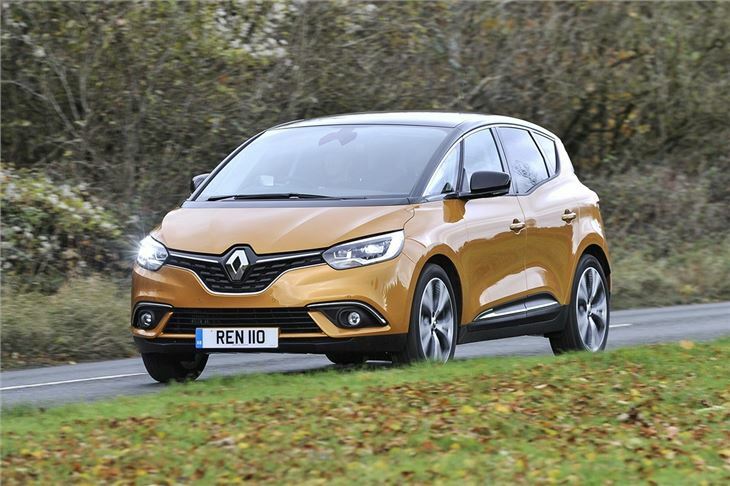 On the road the Scenic is easy to drive, with light controls and quiet engines, but the big wheels mean ride quality is a little unsettled over rough surfaces and there is some road noise on coarse British tarmac. On the motorway or around town this is no real issue, though. 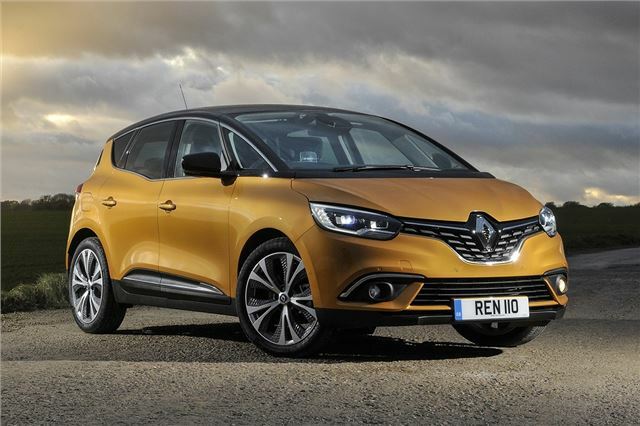 With its generous level of standard safety kit, stylish looks and practical cabin, the Renault Scenic is a real contender next to rival cars. 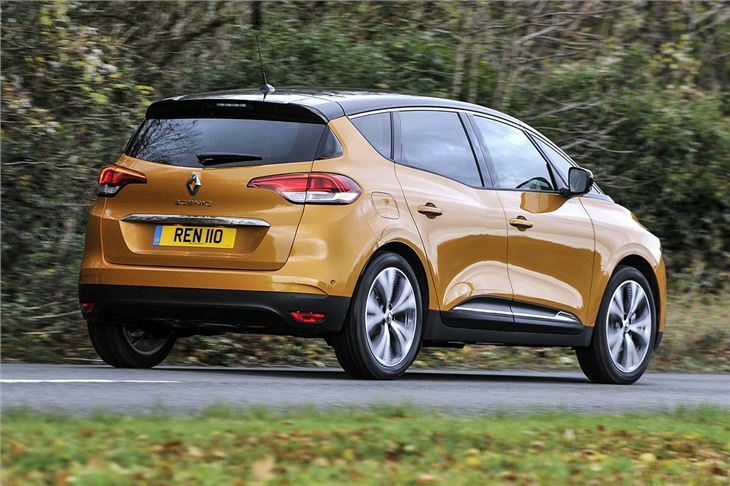 The Kia Carens is better value and the Ford C-MAX is better to drive, but there’s still every reason to give the Renault Scenic a look.